The Bureau of Labor Statistics (BLS) has recently released its annual report on the number and causes of workplace fatalities across the US in 2016. The report reveals that a greater number of American workers died on the job in 2016, and died from causes that were not previously a threat on the job. 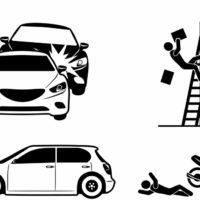 Read on to learn about these reports, and contact a knowledgeable Idaho personal injury attorney if you’ve been hurt on the job. According to the federal agency’s recent report, 5,190 people died in fatal workplace accidents in the US in 2016. That made 2016 the first year since 2008 that more than 5,000 people were killed on the job nationwide. The number of deaths in 2016 also marks a 7% rise over 2015’s total of 4,836 deaths, and makes it the third year in a row that on-the-job fatalities have increased. The rate of workplace deaths – 3.6 for every 100,000 full-time workers – was also higher in 2016 than it’s been since 2010. The Occupational Safety and Health Administration’s (OSHA) deputy assistant secretary, Loren Sweatt, announced that OSHA “will work to address these trends through enforcement, compliance assistance, education and training, and outreach.” “America’s workers deserve better,” Sweatt added. In 2016, the leading cause of death was transportation-related incidents. This is the cause that tops the list of fatal workplace accident causes each year, and was responsible for 2,083 deaths in 2016, or 40% of the total. What did come as a surprise to many was the second leading cause of death: violence and other injuries caused by persons or animals. 2016 saw a 23% rise in the total number of deaths attributed to a violent act over the total from 2015. 866 people died on the job due to violence in 2016. 500 of those deaths were caused by homicide, and 291 were suicides. This was the largest number of suicides on the job recorded by the census since it began tracking this data in 1992. The growing number of deaths by violence could be a sign that employers are doing too little to keep workplaces secure, and to defuse violent altercations on the job before they get out of control. If you’ve been hurt on the road or on the job in Idaho and want skilled and determined legal help in getting the compensation you’re owed for your injuries, contact the seasoned Twin Falls personal injury lawyers at Pedersen & Whitehead for a consultation at 208-734-2552, with additional offices in Boise at 208-336-2552.